This is hard to explain but I will try. This is truly Jesus's blood now present in the cup, although we may perceive it differently, we may perceive it as wine. You see, everything Jesus said was true, and the Holy Crucifixion of our Lord is not a moment in time that is static. How can one that is eternal and flesh, leave a moment in time in the past, He cannot. Jesus is God. The Crucifixion is not in the past, it is happening right now. The Chalice of His precious blood is raised above the altar at the moment that the chalice of the cross is raised up for our salvation. 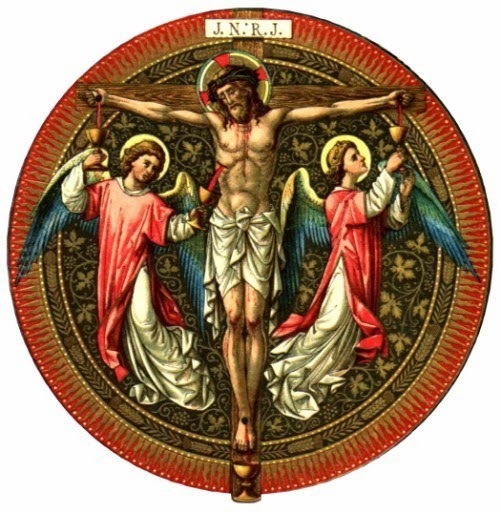 His blood is eternal, and the blood that flows from the Cross, is the same blood that we take at Holy Mass. They are the same. Although He died once, for all, somehow He is still pouring Himself out for us, even now, on the Altar of the Holy Mass. The crucifixion is made 'present', but not in a way that surpasses what Jesus did at Calvary. The Priest is a singularity at this moment for the whole world. For if the Priest is Holy and pours himself out for others, the greater the number of souls that are brought to salvation, not just here, but among all the peoples of the Earth. God needs nothing, so He does not need man, but by His word He created and Honors the Priesthood. Because His word is perfect, He will NEVER go back on His word, so the Priesthood will exist until the end of time. As a result, we will always have the Holy Mass, even if it must be a hidden one. The Holy Mass offered in hiding in fear of those who wish to destroy it, can still affect the whole world, and may a Priest always remember what he does, not for himself, not even for just those present, but for the whole world. God deems to take this offering of the Priest and use it for the salvation of souls. The Holy Mass is the best method for a Priest to become holy, and become a Saint. The heavens are fully opened, Jesus is truly present on the altar. All: A - Christ has died, Christ is risen, Christ will come again. or B - Dying you destroyed our death, rising you restored our life. Lord Jesus, come in glory. 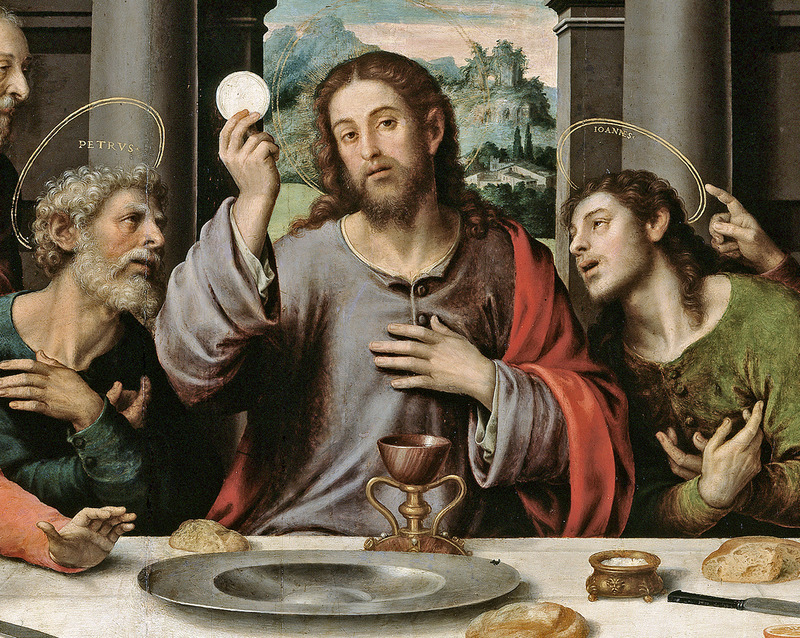 or C - When we eat this bread and drink this cup, we proclaim your death, Lord Jesus, until you come in glory. or D - Lord, by your cross and resurrection, you have set us free. You are the Savior of the World. Notice the Cross, or Jesus' death in each one of them. OK, we are definitely standing on Calvary now. 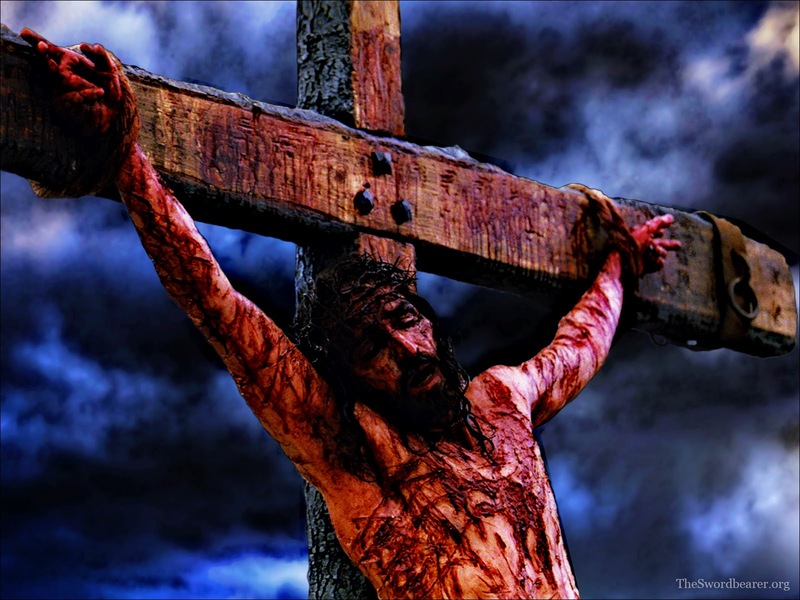 With love I see Him on the Cross, and I think, "Where is my Calvary?" "Where am I to be poured out for others?" Our Calvary is every day, every small suffering that we meet, and sometimes, as God wills, even greater suffering at the end. For when we suffer in our death, it is either for our purification so that we may attain heaven, or so that we may offer ourselves, and our suffering for others. Where can I die to self and lay it down for someone else. Attendance at every Holy Mass strengthens us for our own Calvary yet to come, whether great or small. Coming soon: Heaven and Battlefield (Part III): The Battle of Tears.